Warning: do not clean this file with TESTool. This add-on increases compatibility with Rise of House Telvanni 1.52 by making the two mods interact. It is not required, but recommended. As of version 3.2, I decided to include some tweaks to RoHT itself, since RoHT is no longer updating. All major RoHT books to the Tel Uvirith Vault Library book-sorter. New teleportation platforms to all RoHT towers. Levitation added to the Tower Travel Slippers (and Belt) for the four RoHT towers. The option to invite Folms Mirel to Tel Uvirith if you’ve destroyed the Mages Guild. This has the added benefit of fast travel to the Dunmer strongholds if you’re running the Master Index plug-in or my improved version of CDC’s Propylons. 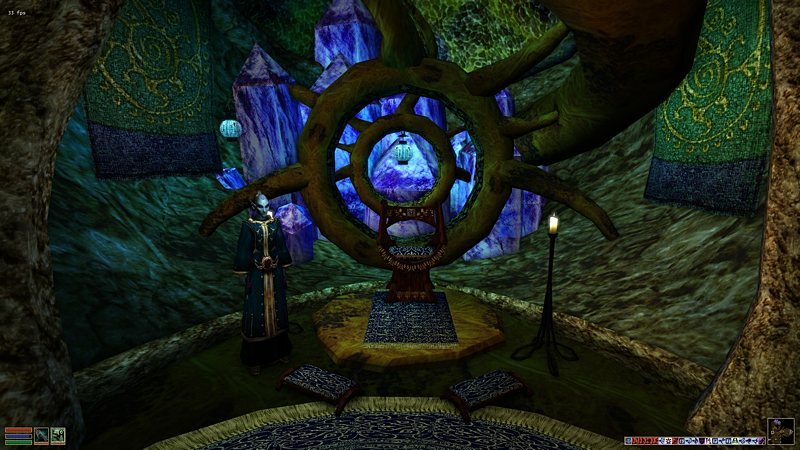 The Archmagister’s Chambers in the Telvanni Council House have been visually upgraded to better match the grandeur of Tel Uvirith. By popular request, Ajira will now show up at Tel Dwemeris (if you don’t kill her before destroying the Mages Guild). All four towers and Telasero are added to the teleportation network. Talk to Llunela Hleran about building them. The four towers must be complete before Llunela will add them, and the build will take a week. After the first build is complete, and Telasero is taken over by the Telvanni, ask Llunela about adding this location to the network. This second build will take a few days to complete. As with other platforms, they must be unlocked before you can use them. Make sure you’re carrying a teleportation key from the main mod. Thanks, bhl, for reviewing this mod before release and checking its compatibility with RoHT.